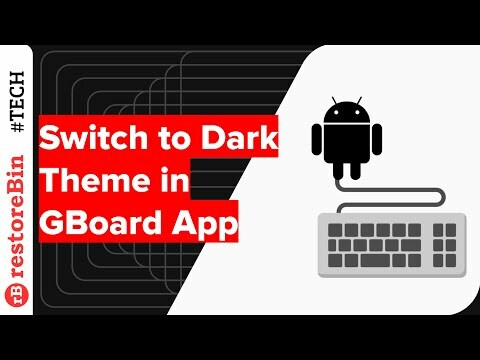 Switch to dark mode theme in android apps without rooting the device. Enable or disable the night mode in YouTube, Message, Contact and many other android apps. Multiple platforms are going dark mode these days. The reason behind this is simple – it’s cool! Personally, I’m a great fan of dark mode and have enabled on my system as well as hand-held devices. I’m a Macbook user and I’ve seen a tremendous change in the latest UI update – Mojave. The dark night mode with off-white text really helps in getting things done way better than a traditional white background and black text. The concept of dark mode came in from the reading mode that various app like Kindle, Google Books, etc. has evolved. Warm color, cool color, night mode, reading mode, etc. were available since last 10 years, isn’t it?! 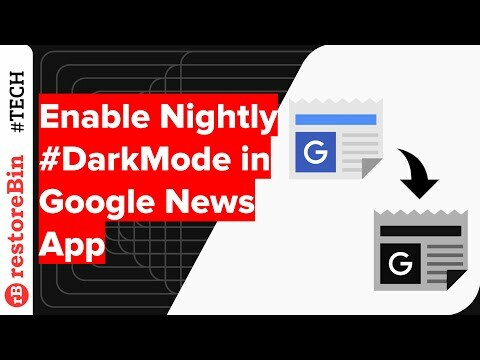 Let get a deep dive into what is the dark mode, how to enable it and also the latest available Google Apps that support dark mode without rooting. What is dark mode or night mode theme? 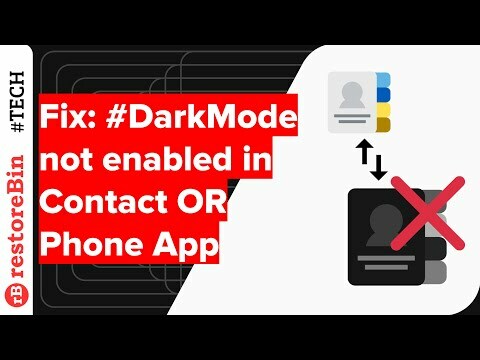 How to enable dark mode in Android phone? As I mentioned, the concept of dark mode came in from the reading apps where the avid readers were comfortable with contrast color especially in the night time when they were off to bed. That’s where the term “Night Mode” came in. The dark mode changes the color of the display to adjust with nighttime reading make it comfortable and create less strain on eyes. The background is switched to darker tone (not completely black but I’d say it’s dark greyish) and text is adjusted to off-white to make both background and front-end combination look cool. After a number of test-run, the researcher also found that dark mode even helps in saving the battery time for any device unit since it uses less white light pixels. Voila! This is how my MacBook Air System Preference looks like in Dark Mode. There is a different setting option for each UI and it’s not possible to cover every device, unfortunately. Example: Xiami phones have their very own MIUI which is a lot different than Samsung’s UI and OnePlus UI. However, I feel the options are available in pretty much same Display & Color options within the Settings menu. In this articles, I’m basically covering the Lineage OS UI (which is also stock Android program) and the official Google Apps that supports the dark mode skin or theme. Now your stock Android OS is set up with the dark mode. You’ll notice the Settings menu and notification bar has turned on with dark skin color. You can further explore the options available in Display settings for more customization per preference. The official Google has started supporting the dark theme or skin for the most popular apps from play store and that are widely used for daily purpose. But, you need to manually enable the dark theme option in each of these apps. I’ve listed the official apps and also the steps to enable the dark or night mode in each app along with a video demo. I hope you’ll find this helpful. 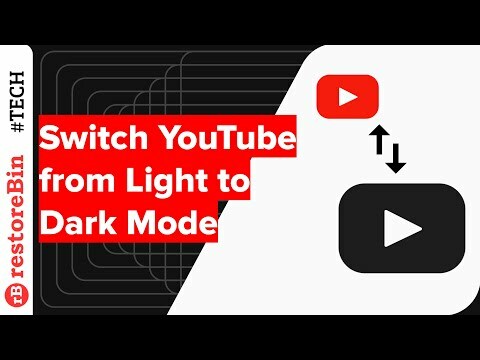 Learn how to enable dark mode theme in YouTube app without rooting it. The night mode or dark mode option is available for the latest version if the app. You can similarly disable the dark theme following the above steps and toggle the option to disable dark mode. How to Enable Dark Theme in YouTube App Android? Learn how to enable/disable Dark Theme Mode in Andriod Phone App. If you’ve both phone and contact apps, this setup will camouflage both apps. If you already on the Dark theme mode and need to disable it, just follow the above steps and toggle the 5 steps to disable “Dark theme”. One of my users has notified that at times the enable or disable option is greyed out and unable to switch the toggle. The reason being the Phone app, Message App, and Contact app are interconnected and in order to fix this issue, one should break the link. This should fix the issue and enable the toggle options for both Contact and Phone App. Learn how to enable or disable the dark mode skin for Google Contact App in an Android OS smartphone. Follow the same steps and turn off or disable the dark theme in the app. 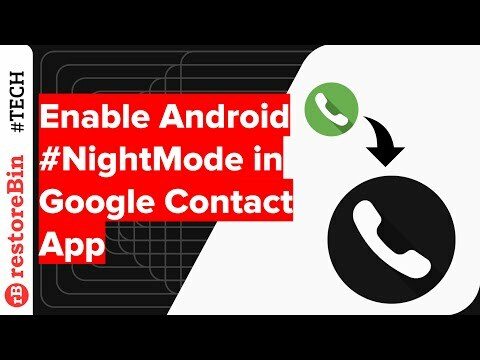 How to quickly enable or disable dark mode theme in Google Contact app? 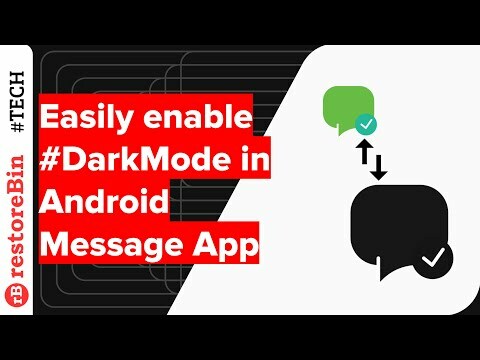 Learn how to enable dark mode theme in your Andriod phone Message app. This option is only available for the latest version, hence make sure to have the Google Message app up to date. In case if aren’t liking the dark mode, select the same 5 option that says Disable dark mode. The Android Messages can also be synced on the computer using Messages for Web, read our setup guide today! Learn how to change the GBoard – Google’s Keyboard App theme color to dark skin mode to have better usability in the night time. Basically it not enabling the dark mode theme but moreover changing the skin color to suit the dark mode. How to quickly change GBoard Theme color to Dark Mode Skin? Learn how to easily enable dark theme skin on your Google News App for Android device to make it look cooler and have battery life. The Dark mode is especially used in the night time to have less strain on eyes. How to easily enable dark skin mode for Google News App? The best part of Google Clock App is that it inherits the night mode skin from the system settings. You do not have to manually enable the dark skin and the color combination of the colors are directly correlated with the system. As I mentioned, I personally use dark or night mode themes on daily basis. Even if it’s day time, my dark mode setting is defaulted to “always” and, I really love it. I especially love the colors that YouTube and Google News App displays when I’m continuously into watching or reading mode. Unofficially you can also get a dark mode in Android Chrome browser but this may involve rooting your smartphone or using chromium based browser. What is your take on dark mode? Do you like it or not? Please drop your thoughts. Thank you! If you've any thoughts on Android dark mode theme: 7 official apps supported night mode, then feel free to drop in below comment box. Also, please subscribe to our restoreBin YouTube channel for amazing videos tips. Cheers!